Housekeeping tips and tricks for dog owners, start by controlling the fur. 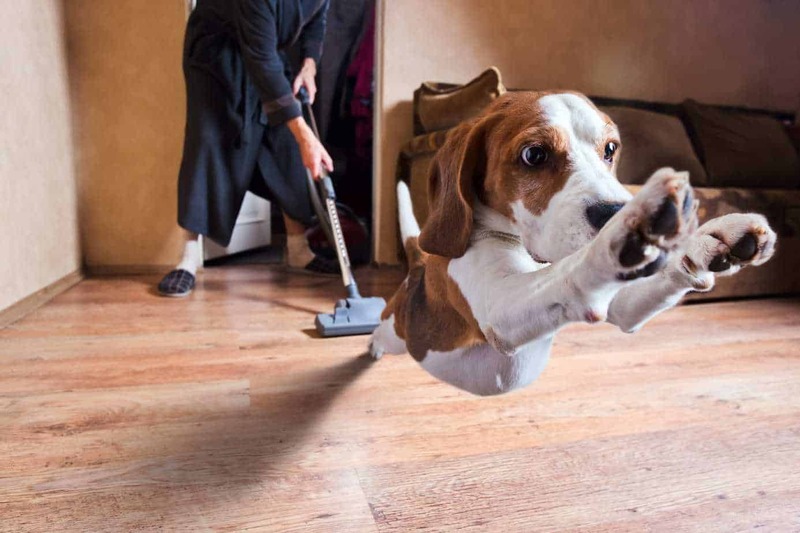 As a pet owner, you know how difficult it can be to keep your home clean. 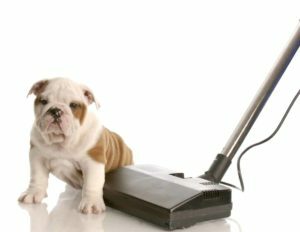 Dirty paws, shedding fur, and doggy accidents can turn your home into a mess in a matter of minutes. 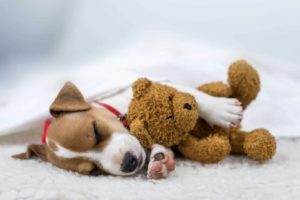 If you want to keep your home clean, consider implementing a few of these budget-friendly housekeeping tips and tricks for dog owners. 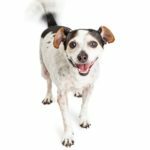 Keeping your home clean while having a dog starts with an effective fur-reduction strategy. Regular brushing and bathing can help keep your pup’s shedding to a minimum as well as limit airborne dander. 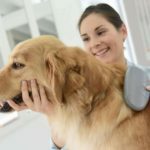 Use a bristle brush to comb through your dog’s fur while bathing him. If you are concerned about the mess of an indoor bath, consider bathing your dog outside (depending on the weather) or taking him/her to a dog bath station at a nearby pet supply store. After a particularly muddy walk, consider dropping by one of these stations on your way home. Once your pup is dry, give him/her another brush to remove remaining stray fur. Depending on your dog’s breed, he/she may require multiple brushings a day. Consider investing in a good grooming brush to help remove the most amount of hair. Bathing and brushing will also help eliminate pet odors. For some people, pet dander is an allergen that makes them feel congested and tired. On top of that, pet dander can contribute to the amount of dust in your home. If you want to minimize airborne dander, consider investing in an air purifier. While some purification systems work to remove airborne pet dander, some filters are much better than others, so be sure to compare different models to find one within your budget. One of the best filters is the Winix WAC9500 Ultimate Pet True HEPA filter. This filter removes 99.99 percent of allergens from the air by trapping particles in its highly-absorbent filter. Air purifiers can also help eliminate pet odor — just make sure your purification system has an activated carbon filter. High-quality purification systems will have both a HEPA filter and an activated carbon filter. Likely, your dog has some pup-specific items, such as shampoo, ear-cleaning solution, toys, and leashes. These items pile up over time and can easily be strewn all over your home. To eliminate dog-related clutter, consider giving your pup his/her own doggy station. To organize your dog’s items, invest in a few storage bins. In this space, you might also want to have a few things to help reduce doggy messes, such as a towel, brush, and nail clippers. Having all these items in one place will help reduce clutter and make it easier to find the things you need. 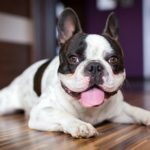 Despite your best efforts, your dog will undoubtedly drool, track dirt, and have the occasional accident. Because of this, it is essential to have the necessary cleaning supplies ready to go. Notably, always keep dish soap, a bucket, and clean rags within reach. 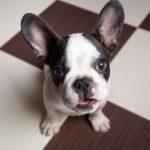 Plain dish soap and warm water are among the most cost-efficient and effective ways of eliminating pet stains on carpet and upholstery. Simply mix the two together and gently blot the stain. Depending on the durability of the material, you can also use a scrub brush, baking soda, and/or vinegar. If a stain remains, consider purchasing a spray bottle of stain remover from the laundry soap aisle. 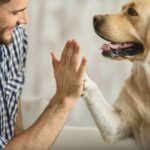 Having a dog doesn’t have to equate to a dirty, cluttered, or smelly house. If you want to take back control of your home, consider trying some of the housekeeping methods suggested above.